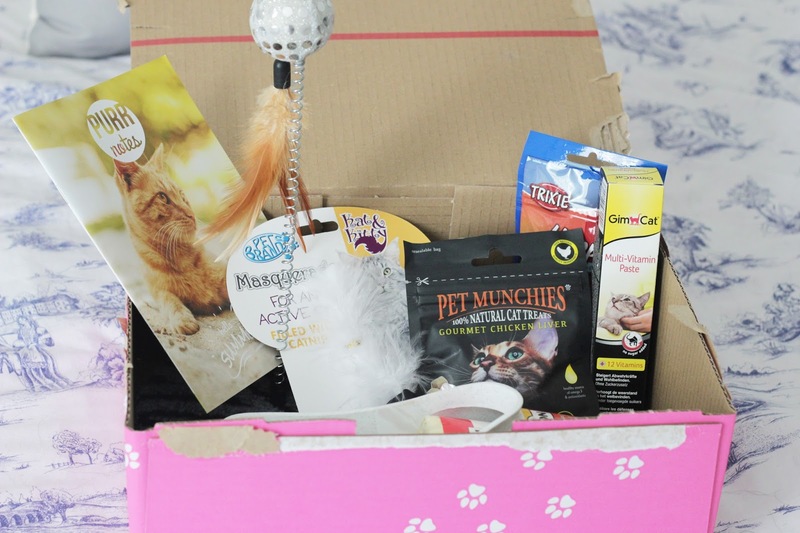 As you may know I am a huge fan of the Pawsome box, I have done many reviews for you on here. My dogs love the Pawsomebox and we really enjoy opening it together. I wanted to share with you the PurrfectBox, which is the cat box. 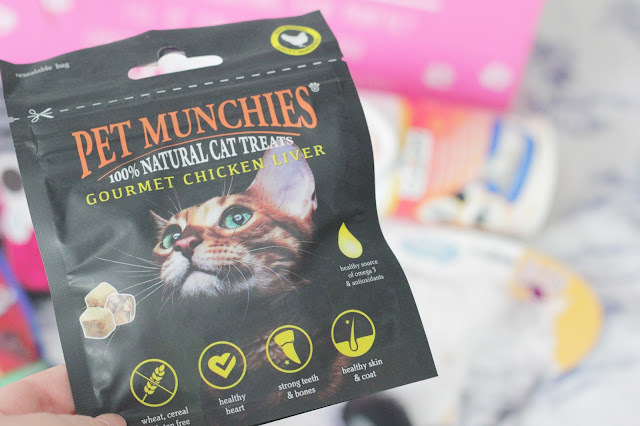 This is such a fun idea that helps us to find new and exciting products for our pets. I am a huge fan of the dog version and so are my dogs. They know exactly what it means when I get the PawsomeBox in the post. 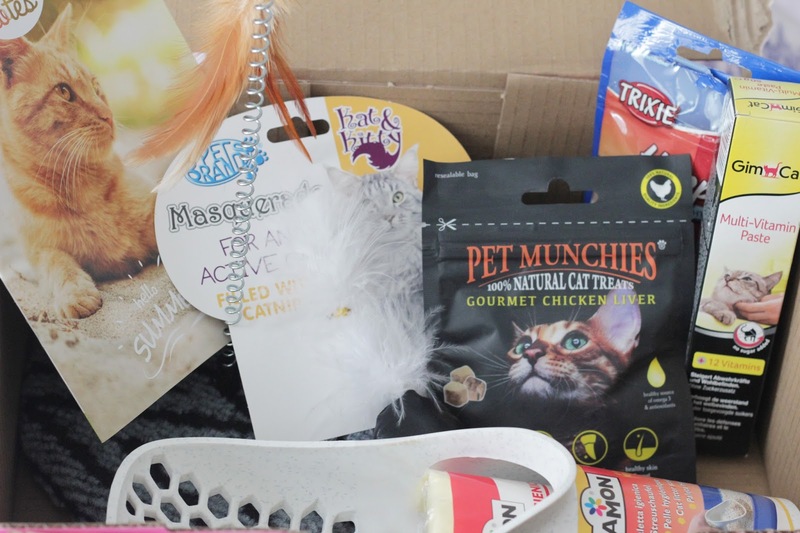 In each box you get 5-6 high quality products which include treats and toys. In this months box there was a good mixture of products. The theme this July box is Summer which is what I love about this company. Each box is new and exciting to open, you never know what to expect each month. I decided to give this box to my boyfriends moms cats, she said all the tasty treats went down well with first impressions and they really loved the cat nip filled toy. The multi vitamin paste went down well with Luna and George. Luna had a fall recently and had to have stitches so this box well and truly cheered her up. Just like the pawsomeBox you get a booklet explaining all the products and facts about cats. 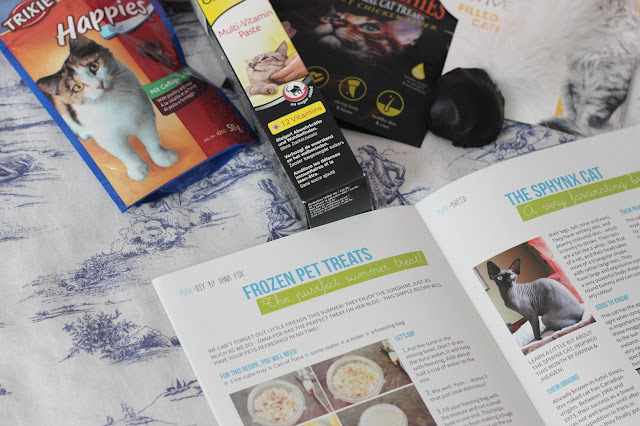 This months talked about the sphynx cat and how to make your own frozen pet treats for Summer. 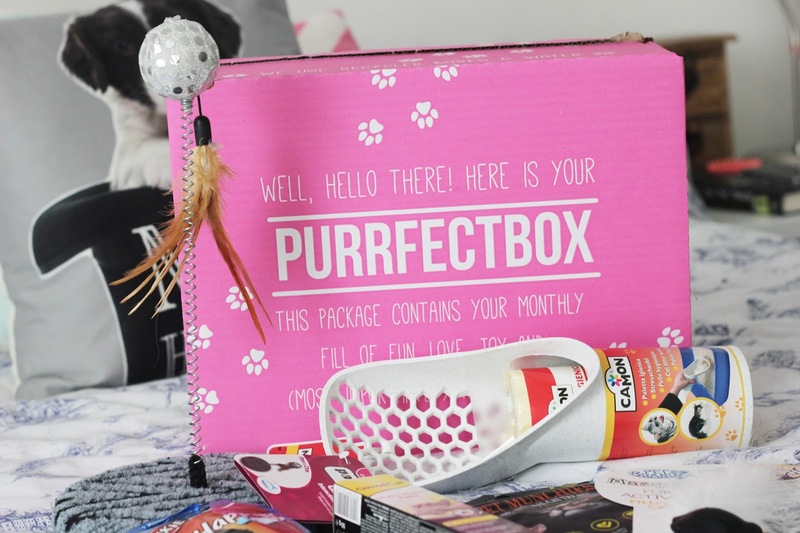 All you have to do is add in your cat profile on the website which helps PurrfectBox to create a box to suit you. You can subscribe to a plan that best suits you and at the minute there is a 50% off your first box. Overall you get products that are worth more than you pay each month for the box and you get to treat your cat with new and exciting treats and toys. I love the pawsomeBox and we find that its such a great experience to bond with your pets. We sit together and take out each product for them to inspect. PurrfectBox* My review of the PawsomeBox. What do you think of the PurrfectBox / Pawsomebox?